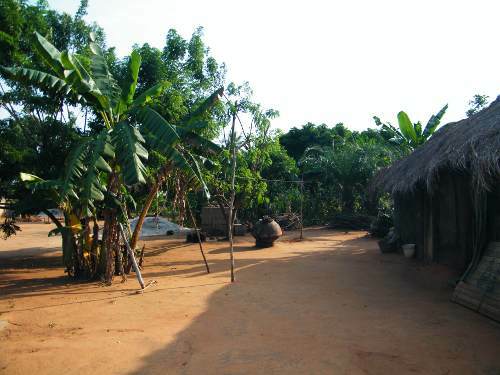 Village life in Dagbamete is a simple, gentle rural lifestyle based on farming and trading. 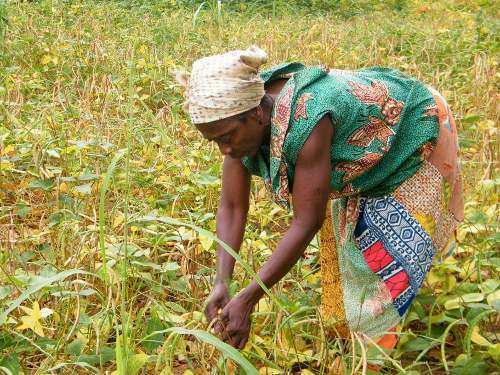 The main staple crops grown are cassava, maize, beans, groundnuts, okra and hot peppers, and these can be found growing in the lands surrounding the village. Although the village is growing and modernizing, it stills feels like a small village. 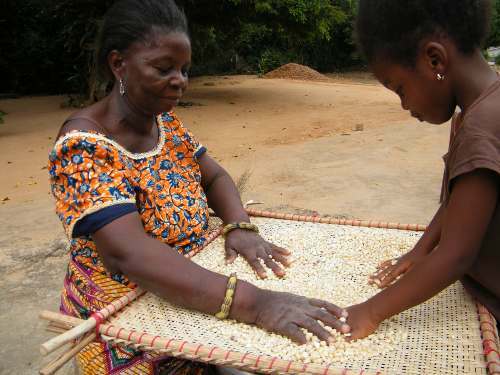 Everyone knows everyone else, and that shared communal connection is keeping the village traditions alive. 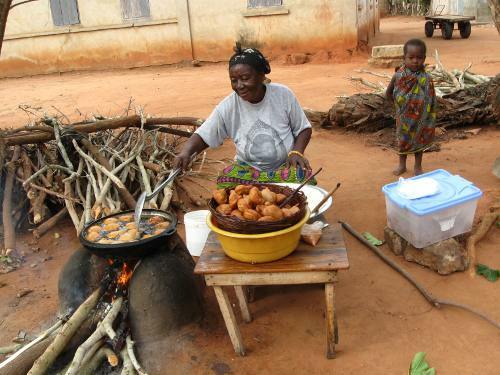 The rich social life in the village is deeply satisfying, and it is not unusual for villagers to live long, happy productive lives, often past 100 years. 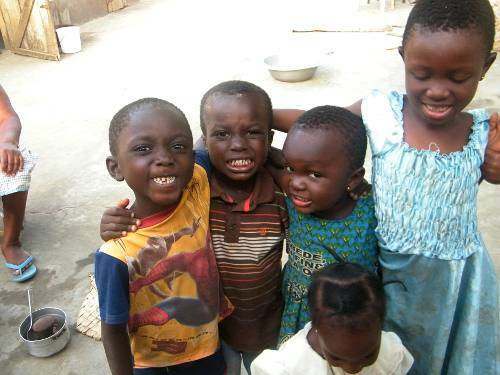 Even those who seek their fortunes in the towns and cities elsewhere usually return to Dagbamete sooner or later. 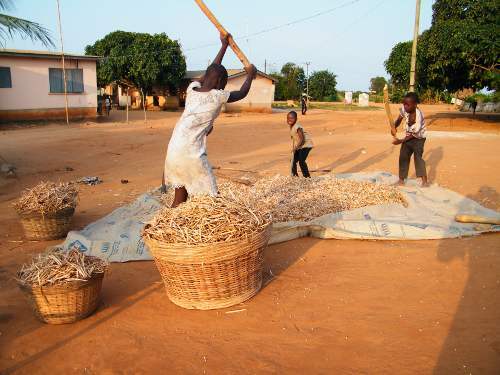 Here are pictures that hint of what village life in Dagbamete is like. Traditional home compound with thatch roof structures. 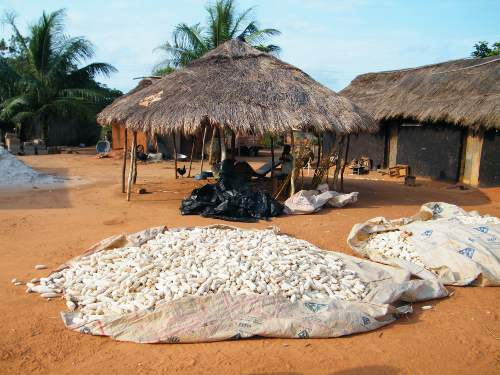 These days homes are built with concrete blocks and corrugated steel roofs, but there are still many of homes built with adobe mud bricks and thatch roofs. 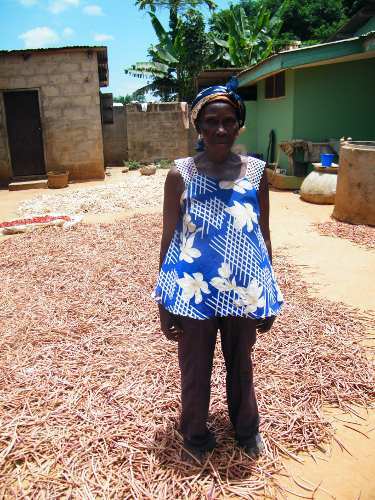 One of many farmers in the village, here harvesting beans in the summer. 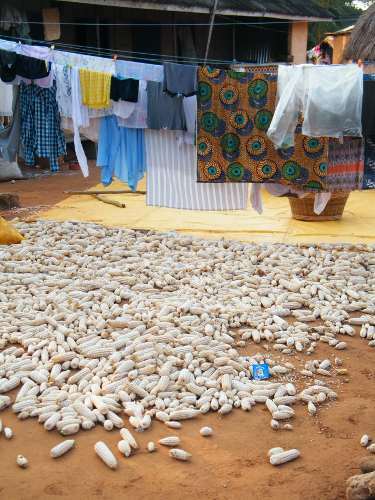 Drying beans in the home compound. 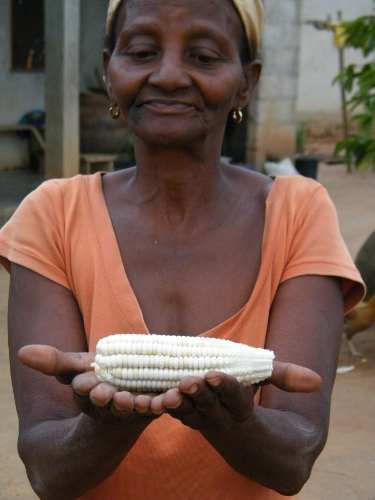 Farmer holding white maize, a staple of the village. 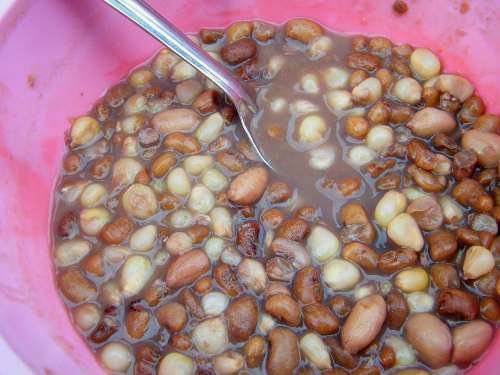 Bowl of traditional ayibli, made with maize and beans. 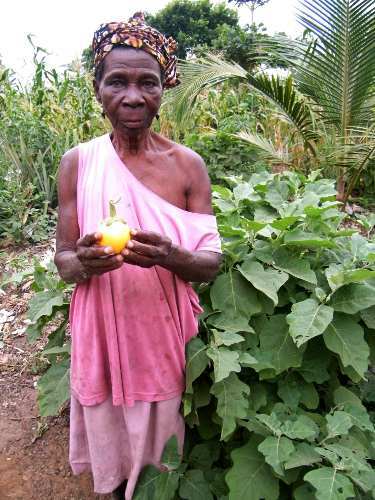 Farmer holding egbo, a small round yellow variety of eggplant. 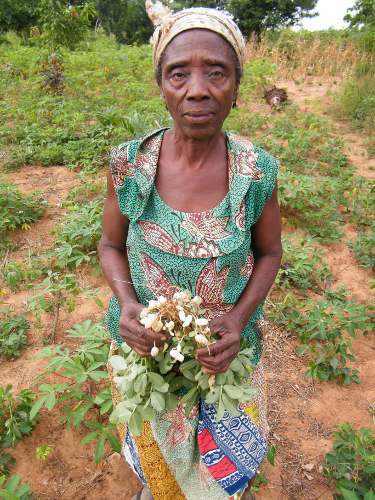 Farmer holding freshly dug azi or groundnuts. 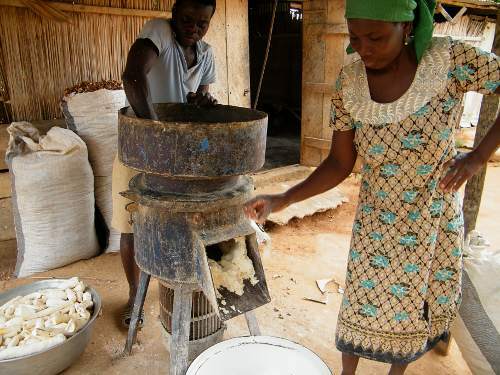 Pounding fufu, a village staple made from cassava. 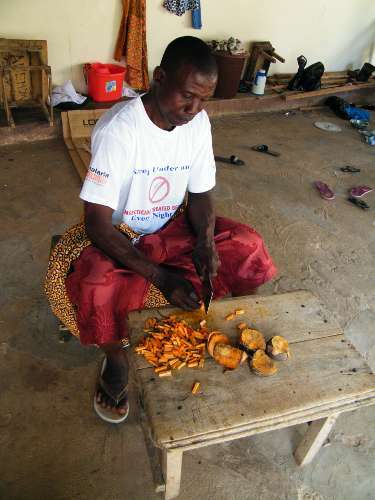 Herbalist chopping the cortex of a tree to make medicine. 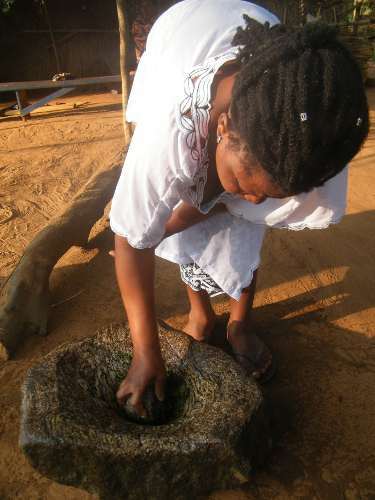 Grinding fresh herb with a stone mortar and pestle to make medicine in the village pharmacy. 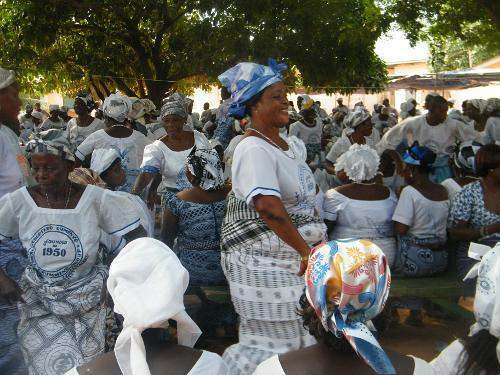 Community dancing at a village funeral. 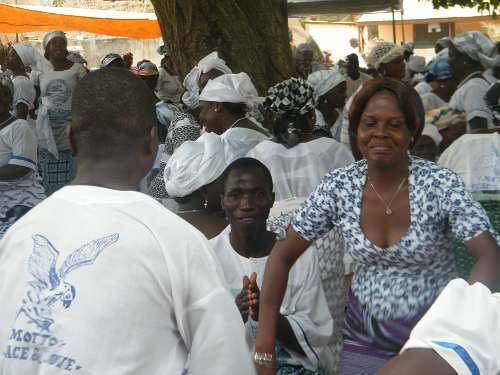 Even funerals are a time for communal joy in celebration of the departed's life. Cooking outdoors over an open fire.